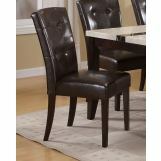 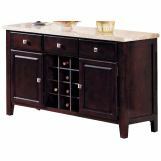 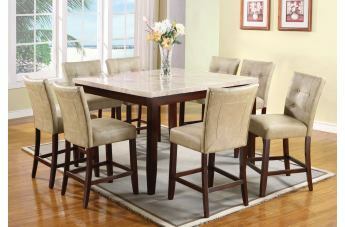 Britney Collection by Acme Furniture will add some sophistication and unique appeal to your dining space. 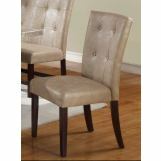 The set offers espresso tapered legs and button tufted brown bycast leather. 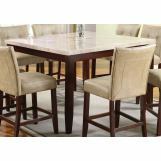 This dining table features storage space for wine bottles and dining wares, as well as stylish button-tufting on both sides sides. 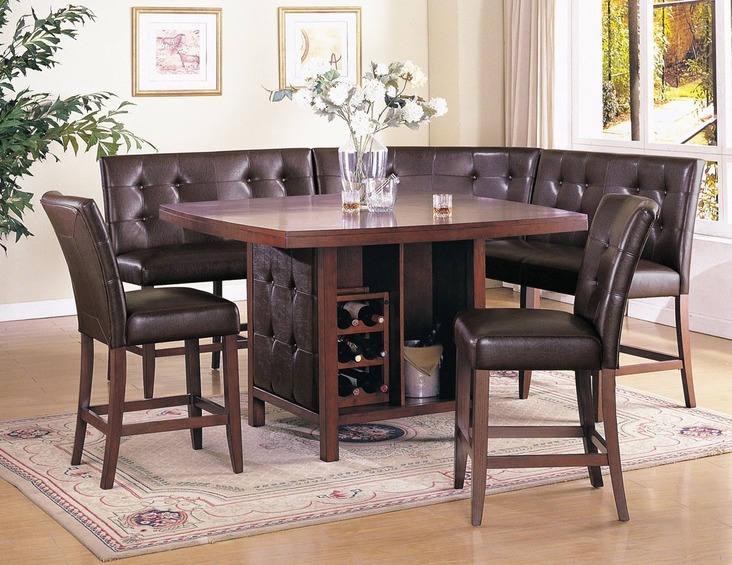 Loveseat, Counter Height Chairs and Corner Chair all boast padded seats and backs upholstered in rich bycast leather and accented by button tufted design. 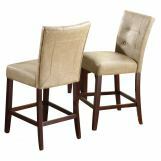 Enjoy your everyday gathering or special celebrations with elegant and sturdy Britney collection.